Leila was born in 1986 in Benguela City, Angola. Along with being a natural beauty, she also attended college in England, where she studied business management. 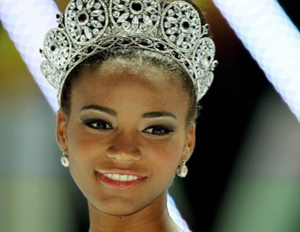 The Miss Angola UK 2010 winner is largely involved in raising HIV and AIDS awareness. On Sept. 12, 2011 in Brazil, she was crowned Miss Universe, and became the 60th title holder and the first Angolan woman to seize the title. Prior to her outstanding achievement and victory, another black woman hadn’t won in 12 years.